Coconut oil is gradually turning famous in cosmetic industries due to its healing properties. 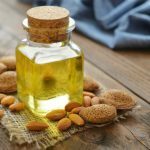 This oil demonstrates several medicinal properties which help to keep your skin healthy and clear. Besides, it is considered as an excellent moisturizer and essential ingredient which can effectively treat different skin issues like scars, dark spots, fine lines near eyes, eczema, and acne. It is known that if coconut oil is utilized in daily skin care routine, it has capability to let your skin stay hydrated and glowing. Hence, applying coconut oil face mask could be one of the best options to attain the bright and beautiful skin. 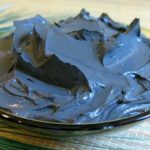 How to Make a Coconut oil Face Mask? Coconut oil is essentially light in texture and also it is deeply absorbed by the skin pores without making any greasy residue. The saturated fats which are present within coconut oil serves as a great moisturizer for different skin types and cures dry skin as well as avoids moisture loss of skin. Coconut oil has capability to prevent premature aging because it includes vital vitamins and minerals such as vitamin E which behaves as a physical barrier to dirt and many other environmental pollutants when sealing in skin moisture. Coconut oil is known to be rich in many proteins. All these proteins maintain your skin healthy and rejuvenated, internally as well as externally. The antioxidant action of coconut oil oxidative damage. Moreover, it retains the skin smooth and flexible by facilitating collagen formation. This is significant for healthy skin growth, restoring of wear & tears on the skin, and protecting the skin against cracking. Coconut oil can easily blend with any ingredients to form a paste which can be applied on skin. 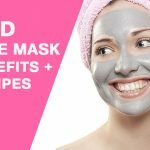 Discussed below are few simple homemade coconut face mask recipes incorporating household ingredients. 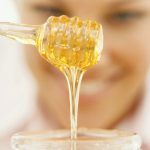 Honey possess strong antibacterial, antifungal, and antiviral properties, making it excellent for acne-prone skin and many other inflammatory conditions. Besides, it even includes alpha hydroxy acids, which makes it an excellent gentle exfoliator. Mix 1.5 teaspoons raw honey with 2 teaspoons coconut oil and 1-2 drops of lavender essential oil (optional) by stirring through a small spoon or toothpick. If the mixture becomes very viscous, place it in the fridge for around 5-10 minutes. After it gets hardened slightly, just remove it from fridge and whisk it with a spoon. When you are done with cleansing your skin, carefully apply coconut oil and honey face mask all over your face using your fingers by small circular strokes. Lastly, leave mask on your face for about 10-15 minutes. Honey possesses antimicrobial, moisturizing, and restorative properties. These properties when combined with coconut oil’s properties, makes a great homemade face mask. Moreover, the face mask also enhances different skin conditions, suitable for different skin types. Tips: It’s essential to make sure you only use raw, organic honey from a reliable source. The one-two punch of avocado and coconut oil face mask provides a go-to choice for every wrinkle-prevention and anti-aging requirements. First remove the skin from 1 whole avocado. Now mash the avocado to a paste using a fork. Now mix in 4 tablespoons of coconut oil. Add 2 teaspoons of nutmeg and then stir the mixture till it gets evenly distributed. Lastly apply this mixture to your face and just sit for 15 minutes. Now, rinse your face using lukewarm or cool water in order to remove this mask. Pat the skin dry using a soft towel. The coconut oil functions to hydrate and nourish your skin whereas the avocado functions to slow down the aging process by neutralizing free radicals. This is considered as a wonderful hydration packed anti-aging face mask. Tips: Make sure you do not use warm water to rinse off your face. Turmeric is known to be used for centuries to soften the skin and even out skin tone. You can combine this wonderful spice with coconut oil’s moisturizing power and capability to go through deep within the skin. 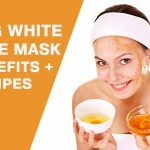 This mask is considered as a perfect remedy for blotchy and discolored skin. First place 1 tablespoon coconut oil in a bowl. Now melt coconut oil in the microwave for around 5 seconds. Now add ⅛ teaspoon turmeric. Now apply the coconut oil and turmeric mask to the face and just sit for 15 minutes. Lastly, rinse off your face using lukewarm or cold water and tap skin dry using a clean towel. The mixture of coconut oil and turmeric functions to assist with skin discoloration by evening out the skin tone. Besides, it also functions to hydrate and moisturize the skin in order to eliminate fine lines and wrinkles. Tips: Do not keep the coconut oil for too long in microwave to melt it. This homemade coffee scrub and coconut oil face mask removes away dead skin cells, intensely nourishes your skin and gives you a glowing complexion. It is known that this face mask lets your face appear very smooth and bright. Mix well half teaspoons each of coconut oil and ground coffee and then apply to your face by circular motions. Now leave this mask on for minimum 15 minutes up to an hour. Lastly, rinse off using warm water. Coffee is regarded as a rich source of antioxidants which function to protect your skin against free radicals that may spoil the skin. The caffeine present inside the coffee excites the skin and enhanced blood flow towards the face, which is considered as ideal for healthy cell turnover, making you appear glowing and bright. Tips: While you apply, avoid getting the mixture inside your eyes, nose and mouth. Baking soda is known to be one of the finest cleansing agents currently on the market. It can be utilized to clean your skin in efficient way. When the moisturizing properties of coconut oil are combined with cleansing action of baking soda, the consequence would be the glowing skin. First mix 1 tablespoon each of coconut oil and baking soda in a bowl. Stir the mixture till the ingredients form a paste. If required, add more baking soda a pinch at a time till you get a paste. In order to seek the most from this mask, just apply the mixture to your face and sit for 5 minutes. Now softly rub your skin by small circular motions for about 2 minutes to eliminate dead skin cells. Lastly, rinse off your face using cool water and then pat dry using a soft towel. This face mask functions like a cleanser, allowing you to get rid of dirt and dead skin cells from the skin pores while assisting you to lighten your skin immediately. The face mask is extremely potent exfoliator which functions to balance the skin’s delicate pH. Repetitions: You need to apply this face mask up to three times per week in order to make your blackheads disappear. Tips: Focus on spending a little extra time massaging the parts of your face (like nose, chin, and forehead) where there are blackheads. The banana and coconut oil mask will hydrate and moisturize the skin and also remove out bacteria from the skin. In one mixing bowl, add 1 tbsp of coconut oil and a pinch of turmeric powder. Now stir it carefully to form a paste. Now mash ½ ripe bananas using the back side of a fork or spoon. Combine all these ingredients together and just apply the mask on the face for about 15 minutes. Lastly wash your face using cool water, and pat the skin dry. Coconut oil function to feature lauric acid, which helps to kills acne-causing bacteria. Banana functions to moisturize the skin. Thus the two will help to glow the skin and remove impurities. Tips: Make sure that after applying the mask on your face, you leave it up for about half an hour, and then rinse it off. Green tea is considered excellent for different skin types and also it allows ridding the skin of toxins and fights against free radical damage. First prepare a strong cup of green tea using the tea bag and the water. Allow it cool to room temperature or just refrigerate. Now combine 1 cup coconut oil, half cup sugar and ¼ teaspoon matcha in a medium bowl and just stir the mixture well to combine. Now add 1/8 cup of the cooled green tea and combine it well. If you are not using the matcha, you need to add the remaining 1/8 cup of green tea. Lastly, store the mixture in an airtight container and then apply it on your face in the shower to softly exfoliate your skin. The present super pure beauty mask functions to provide gentle exfoliation, moisture and powerful antioxidants, important for different skin types. It is known that the face mask will provide a healthy glow along with offering skin rejuvenation to shield, prevent and renew. Best time to apply: Apply in evening on clean face. Tips: If you are using sugar, then make sure to use it on your face only 1-2 times per week, and use it on your body not higher than 3 times per week. The coconut oil and egg white face mask will work best to brighten your skin, decrease redness, and enhance your appearance. It is known that egg white is fastener in natural skin masks as it is high in collagen, protein and vitamin A. Crack one egg and then separate the egg white from the yolk through the shell. Now remove the yolk and whip the egg white in a tiny bowl till it foams. Now add lemon and coconut and combine it well. Carefully wash your face with water and a mild soap (optional). Now pat your face dry using a clean towel and make use of your fingers to apply the mask. Focus on massaging the mixture to your skin by circular motion. Just leave it on for 15 minutes on face and then rinse it off using chilled chamomile tea. Egg is usually utilized to treat rosacea, big pores, burns, acne, and rashes. Besides, the face mask has capability to diminish the appearance of fine lines, decrease inflammation, lighten dull skin, and enhance skin tone and softness. Repetitions: Once every two weeks. Best time to apply: During evening. Tips: Make sure you use only fresh egg. The brief massage of oatmeal and coconut oil face mask will help to eliminate dead skin cells which can block sensitive pores. With this face mask, you can say hello to clear skin in matter of few minutes. First add 3 tablespoons of oatmeal to a mixing bowl. Now add ¼ cup of warm water. Mix the mixture well till you have made a paste. Now add 1 tablespoon coconut oil and combine well. Apply this mixture to your entire face and just sit for about 15 minutes. After 15 minutes, softly massage your whole face by small circular motions for additional 5 minutes. Lastly, rinse off the mask off using water and pat your skin dry using a soft and clean towel. Due to antibacterial as well as antifungal properties, coconut oil is considered perfect choice to fight acne. Also, oatmeal is too a powerful anti-acne ingredient as it function to sooth inflammation and assists to restore the skin’s natural pH balance. Tips: Make sure you do not rinse off the mask using warm water. Because of increased exposure of skin to changing environmental conditions, different people have different skin conditions and allergies. The face mask of coconut oil and ingredients as discussed above work at its best to glow your skin instantly. However, you can discuss with your skin specialists before trying any of these methods to achieve the best results.